I always forget the syntax for this, and I’ve been meaning to publish this for a while so here you go. 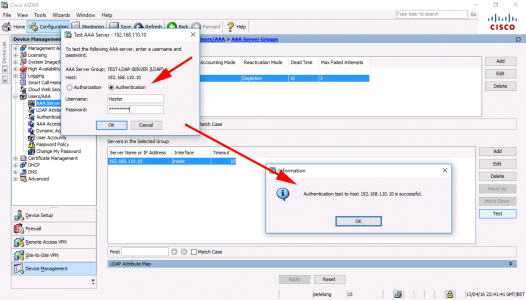 If you have AAA setup and people can’t log in, then the ability to test authentication against a user’s username and password is a good troubleshooting step! Usually I’m on a Cisco ASA but I’ll tag on the syntax for IOS as well. 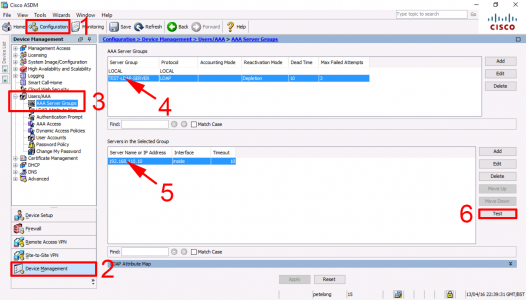 You will need to know the server group and the server you are going to query, below the ASA is using LDAP, but the process is the same for RADIUS, Kerberos, TACACS+, etc. 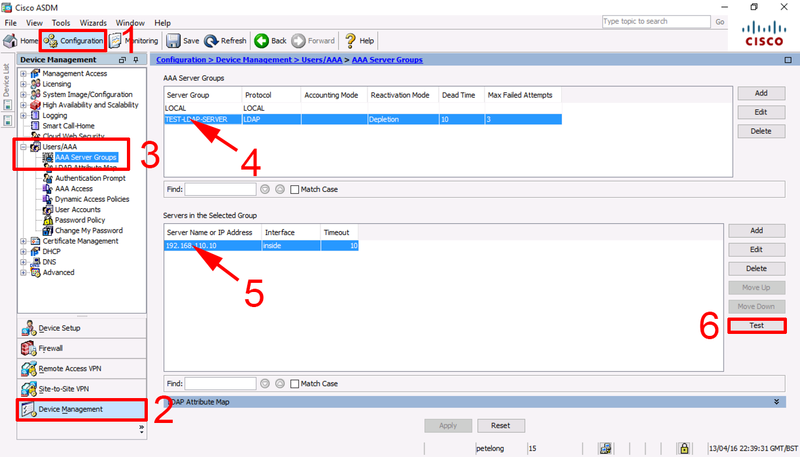 Log into the ADSM > Configuration > Device Management > Users/AAA > Select the Server Group > Select the Server > Test. 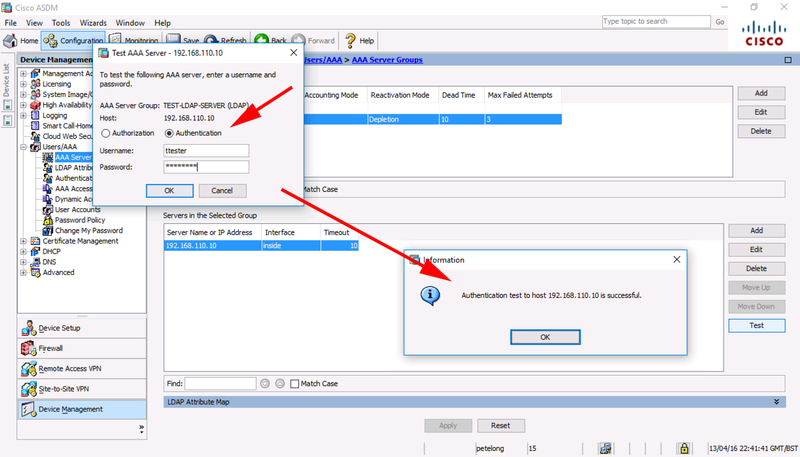 Select ‘Authentication’ > Enter Username/Password > OK.
autocmd 0 " ppp negotiate"
Thanks Pete. Would you be able to post the entire config please? I’m trying to learn RADIUS with a Server 2008 R2 computer and a Cisco AP 1142N. Having a fun time trying to get my head around it. Thanks, it’s covered in another article, do a search (top right) for Server 2008 RADIUS.